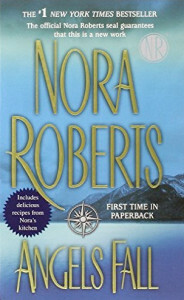 Nora Roberts is America’s most successful novelist and in ANGELS FALL, it’s not hard to see why. Her characters are appealing and infectious. Her sense of place is utterly immersive. And she gifts her smart, snarky characters with happily-ever-afters that feel genuine and earned. Yes, there’s a mystery, but her true gift is for creating relatable characters who don’t feel saccharine or hollow. This was the second of two Nora Roberts novels I devoured back to back, much to my own surprise. Did the sole survivor of a fatal shooting spree really witness a murder while hiking in the Wyoming wilderness, or did she suffer a hallucination fueled by past traumas? It’s an engrossing question, for sure, but the novel’s real stakes reside in whether or not its heroine will be able to walk through her fears to be with the cranky hero who won’t give up on her, and that journey has a suspense all its own. 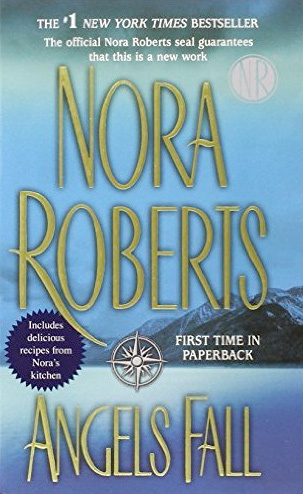 I’m a sucker for the kind of romance where characters who speak their minds managed to find love, and Nora Roberts delivers it in a way that feels as delightfully all-consuming as a weekend spent binge watching your favorite television show.